So far we've covered the majority of the Alpinestars Spring 2012 Gear lineup. Last but certainly not least, Alpinestars has released six new products designed exclusively for the female contingent of riders. Some is ladies-specific cuts of men's gear, some is available just for women. Check out our quick write-ups below and stay tuned for our detailed video reviews which will be coming soon. Click any images to make them larger. Alpinestars Women's Stella Paradise Air Jacket - built from an abrasion resistant 450D polyester shell, the Paradise Air features extensive mesh inserts in non-impact areas for a high degree of airflow in warm weather riding. Beneath this is a removable full-sleeved windbreaker that will seal out the cool air when temps are a bit cooler. Removable and adjustable CE rated Bio Armor, pockets for chest and back armor, and a 360º zip for pants adjustment round out the features of this new ladies sport riding jacket. 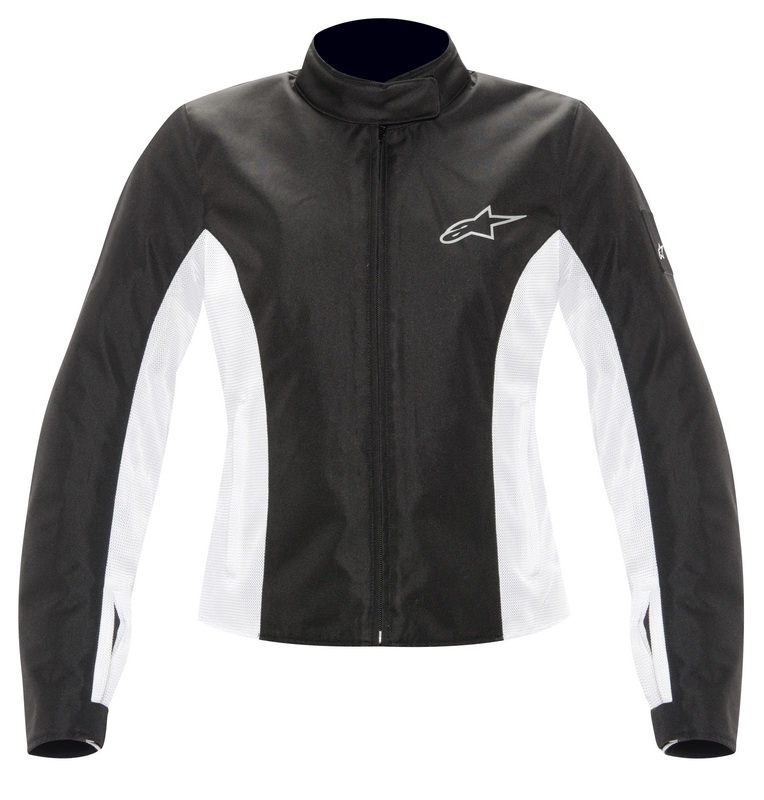 Alpinestars Women's Stella T-Fuel WP Jacket - a women's specific cut of the men's jacket bearing the same name, the Stella T-Fuel features an abrasion-resistant shell with a fully waterproof breathable membrane and a removable full-sleeve thermal liner. 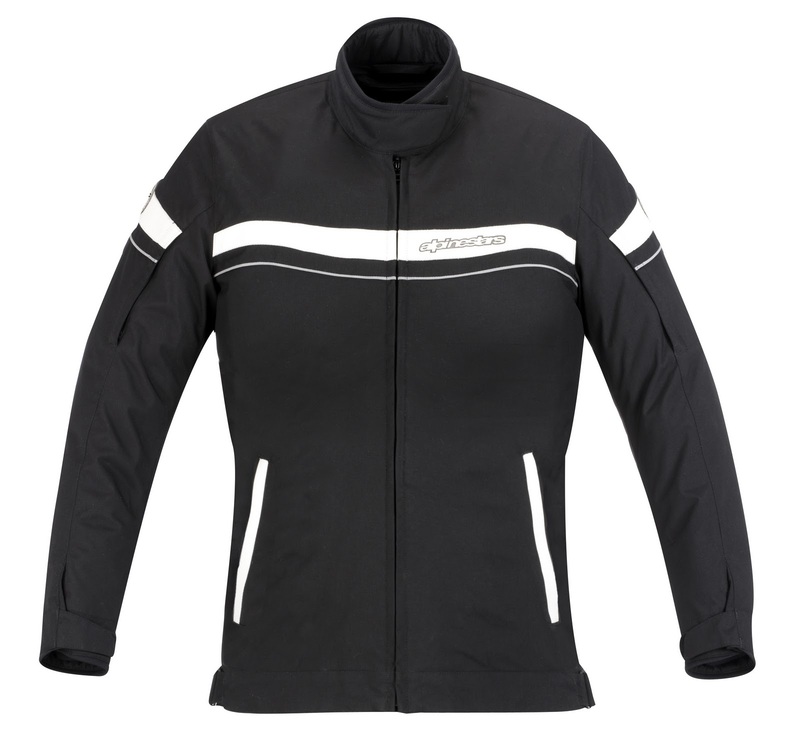 There is CE rated shoulder and elbow Bio Armor, a 360º zip and hi-viz reflective piping for nighttime riding. 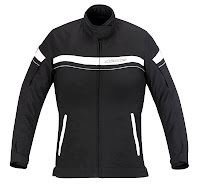 This is a great choice for the female tourer for cooler seasons. 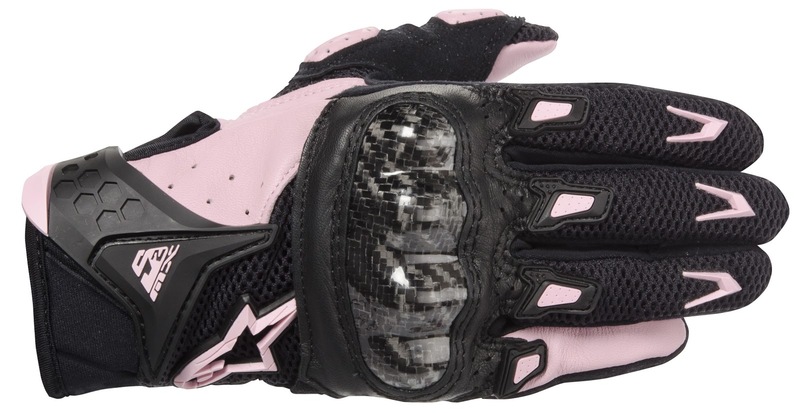 Alpinestars Women's Stella SMX-3 Air Gloves - a play on the men's version with a women's specific cut, the Stella SMX-3 Air Gloves are protective and flow a ton of air for hot weather sport and touring rides. A mix of synthetic suede, goatskin and mesh, there is EVA foam knuckle protection and TPR reinforcements for added protection and style. At the base of the palm is a shock-absorbing foam panel for additional protection. Another solid addition to the short cuff options from AStars. The Alpinestars Women's Stella SMX-2 Air Carbon Gloves represent the female version of the most popular short cuff riding glove we've ever seen. Right around the $70 price point, the SMX-2 Air Carbon Gloves offer a ridiculous amount of bang for the buck. A leather and mesh upper, synthetic leather palm with clarino reinforcements, the standout feature is the carbon fiber hard part at the main knuckle and extreme comfort and airflow these gloves provide. Designed for the sport rider in warm weather riding conditions, these gloves will be extremely popular in the female sport riding sect. 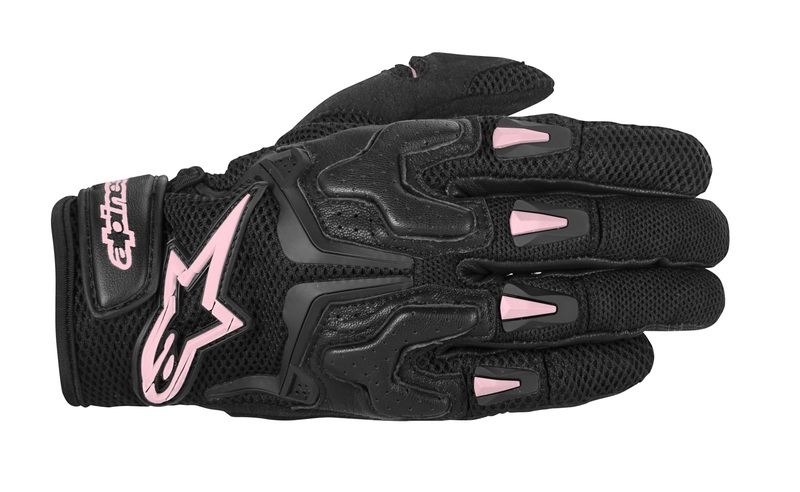 Alpinestars Women's Stella SP-2 Gloves - a gauntlet that will get you on the track, the Stella SP-2 Leather Gloves feature a full goatskin and cowhide leather construction for extreme abrasion resistance and tactile feel. There is a carbon fiber knuckle protector, EVA foam panels at the fingers and side of the wrist, and a 3rd-4th finger bridge to protect the pinky in an impact. With an extensive perf scheme, these gloves are a great choice for aggressive sport rider.